Rumours are already spreading that the 5th version of Grand Theft Auto for the latest Sony Play Station, Microsoft X-box and ordinary PC is due to be launched next June. Daring retailers already put the title up for sale, showing availability for both PS4 and Xbox One as well as PC. Indeed, Czech online gmae retailer SuperGame.cz already show a launch date, putting GTA 5 available for customers on 13 June 2014. Some footage of the upcoming release of the popular game was leaked online earlier this year, with a user named warrockteam1 who posted a clip showing gameplay from a PC version of GTA 5. The video was quickly removed from Youtube. Later on, both a retailer in Norway and an Amazon rep mentioned 18 March 2013 as the definite launch date for the new GTA 5, stating the game was already available for pre-order. The Amazon rep also stated that GTA developer Rockstar Games would officially announce the launch by the end of 2013. This didn't happen, as we all know by now. Rockstar Games hasn't yet made any comment on any of the above 'incidents'. In the meantime, Grand Theft Auto 5 for the older Xbox 360 and PS3 was launched last October 2013, having been developed by Scotland-based Rockstar North and published by Rockstar Games New York. 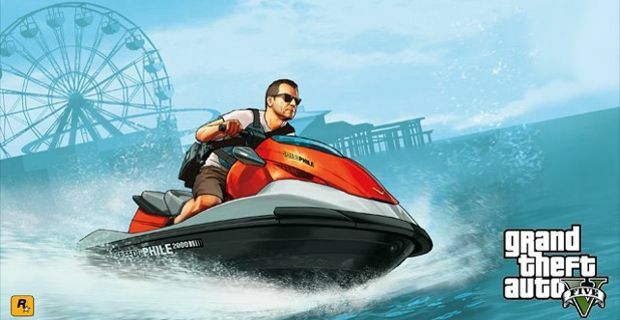 It was the 15th installment in the GTA series and also the first release after GTA 4 in 2008. The game, which gathered brilliant reviews, immediately received the Game of the Year award at the 2013 Golden Joystick Awards. Also within day from its release, GTA 5 climbed at number 2 of the IGN's list of Top 25 Xbox 360 Games. In terms of turnover, around 11.21 million copies of GTA 5 sold within just 24 hours of its release, generating more than $800 million in revenue, just under £500 million.